From Organizer Chris Hinze: A memorial dedication will be held on Thursday, October 22, 2015 at 4:00 p.m. at the site where the Worcester Cycle Manufacturing Company was located. The site formerly was on Hamlin Street, however it is now an open space owned by Wesleyan University located in the courtyard behind the Wesleyan High Rise at 110 Church Street in Middletown, Connecticut USA. At this location in 1901, then the site of the Worcester Cycle Manufacturing Company, Carl Oscar Hedstrom designed and built the prototype for a mass-production motorized bicycle that became known as the Indian motocycle. Hedstrom’s prototype was put into production in Springfield, Massachusetts, in 1902, launching what became for a time the largest manufacturer of motorcycles in the world. 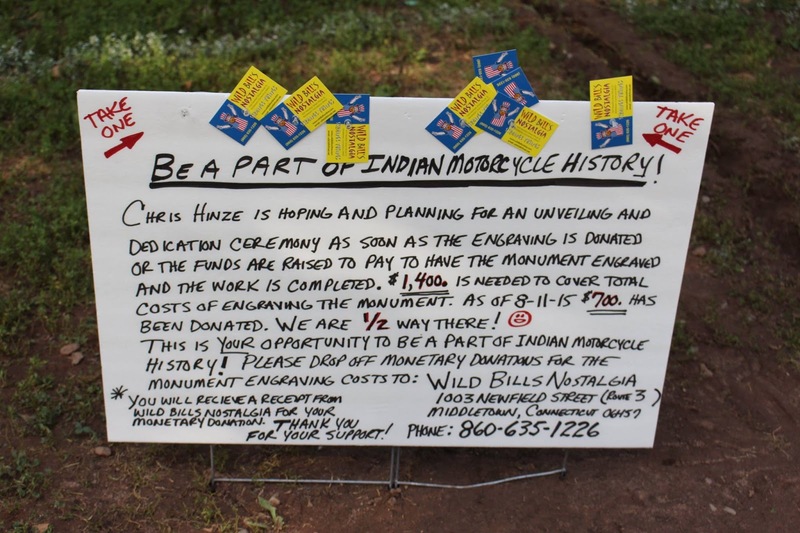 Chris Hinze of Middletown, a motorcycle historian and enthusiast, did the research and discovered the site where the Indian motocycle prototype was made solving a mystery that had eluded even the experts. The information was verified by Wesleyan University archivists and a granite marker has been installed and engraved to memorialize the location. 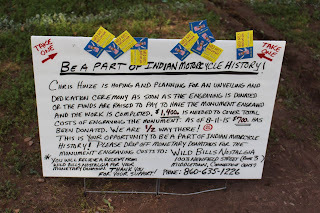 Sponsors who donated to the granite marker include The Haymond Law Firm, Indian Motorcycle of Springfield, Labbadia Monuments, Wild Bill's Nostalgia, and an anonymous donor.